Manchester United manager Louis van Gaal is reportedly set to pull out all the stops in the hope of signing compatriot Arjen Robben in January,Â in a move that could have some bet fair fans tipping the club for a surprise Premier League title charge. 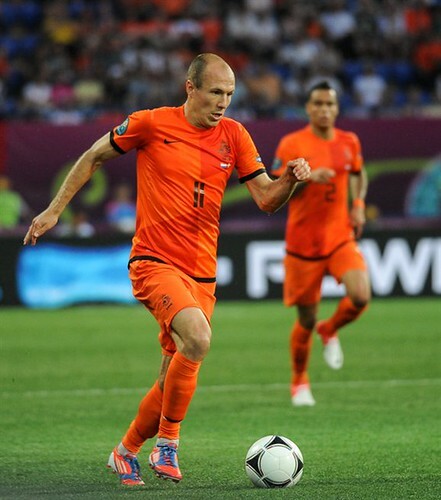 The United boss has worked with Robben during his time as Netherlandsâ€™ head coach and is desperate for the winger to join him at Old Trafford this winter. Robbenâ€™s previous spell in the Premier League came during his three-year stint with Chelsea between 2004 and 2007, and Van Gaal is now hoping to tempt the forward with a return to England in January. Following his move to Real Madrid from Chelsea, Robben enhanced his reputation as one of European footballâ€™s best players before then making the move to Bayern in 2009Â and going on to establish himself as one of the clubâ€™s most important players. He has since played a starring role in Bayern picking up 11 trophies during the past six seasons, including three Bundesliga titles, three German cups and the 2013 Champions League. German giants Bayern have made it clear they have no intention of letting their prize asset depart in the near future, although a bid of around Â£24million could be enough to tempt Bayern to sell a player who is nearing his 31stÂ birthday. This could become even more of a possibility should Robben come out and make it known he wanted to move. Robbenâ€™s relationship with the United manager has always been good and was solidified further during last summerâ€™s World Cup when the then Holland head coach built much of his plans around the forward. Knowing his next contract could well be his last major deal, a big-money move to Old Trafford could well tempt Robben – as could the prospect of a fresh challenge at this point in his career. United have made no secret of the fact that they are willing to back Van Gaal in the transfer market in order to get the club back to the top of English football, and it could be that Robben is the first of many new players to arrive at Old Trafford between now and the start of the 2015/16 season.